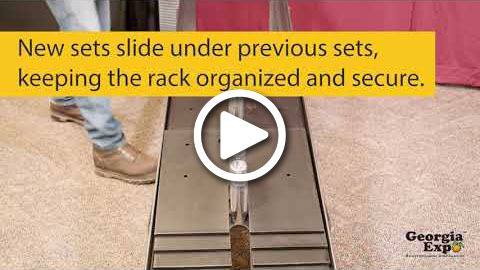 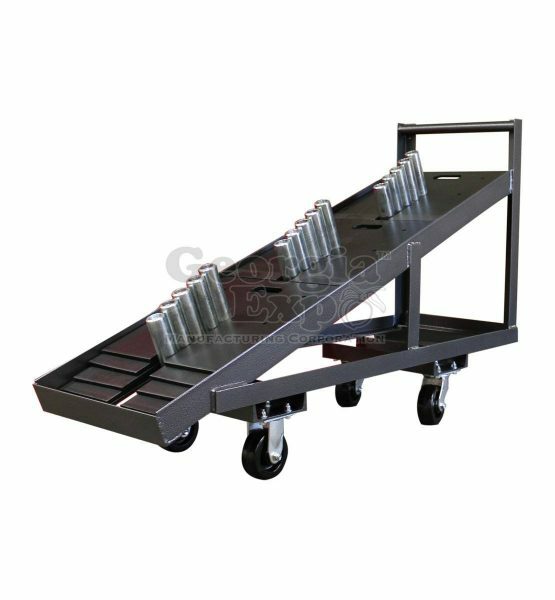 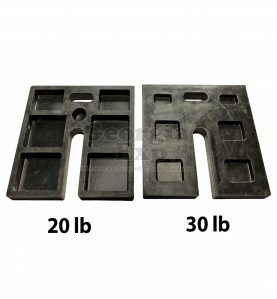 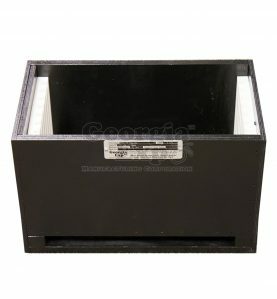 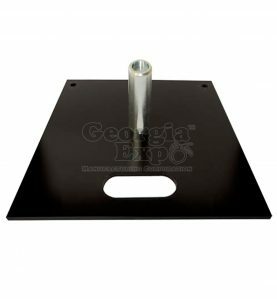 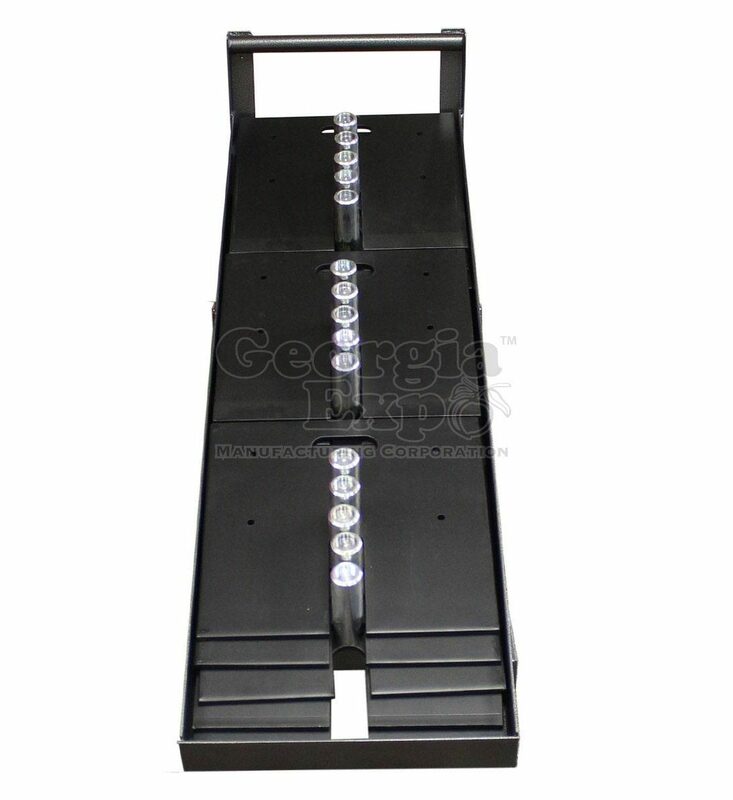 The Heavy Duty Slip Fit Base Cart is a new cart design designed to hold heavy duty bases with stacking slots. 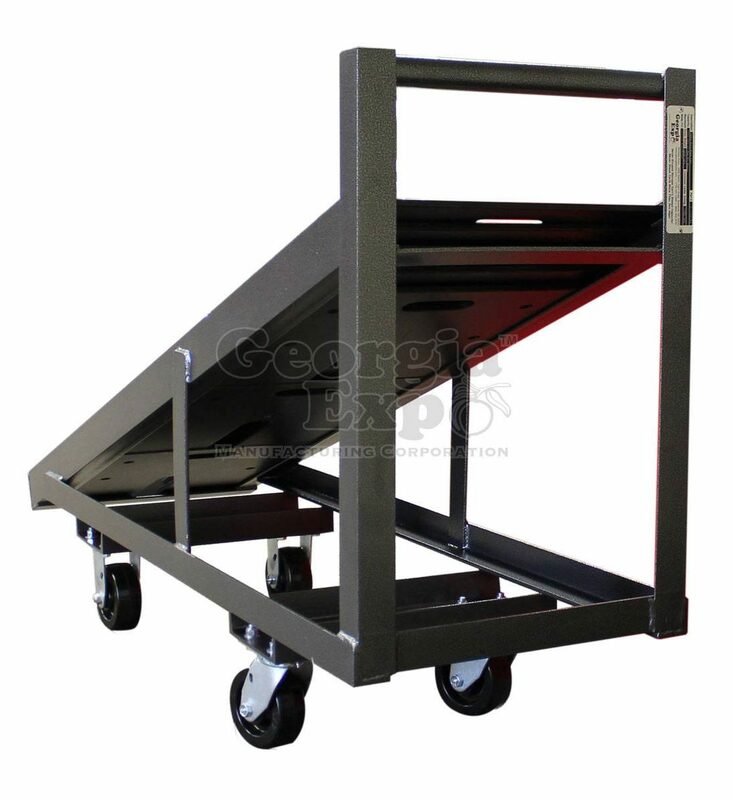 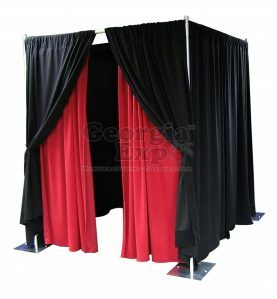 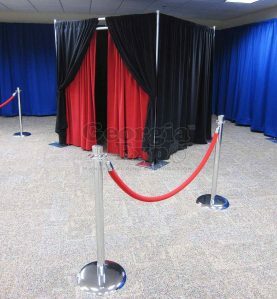 The cart is available in an 18″ and 24″ versions and holds up to (12) 18″ x 18″ or (10) 24″ x 24″ bases. 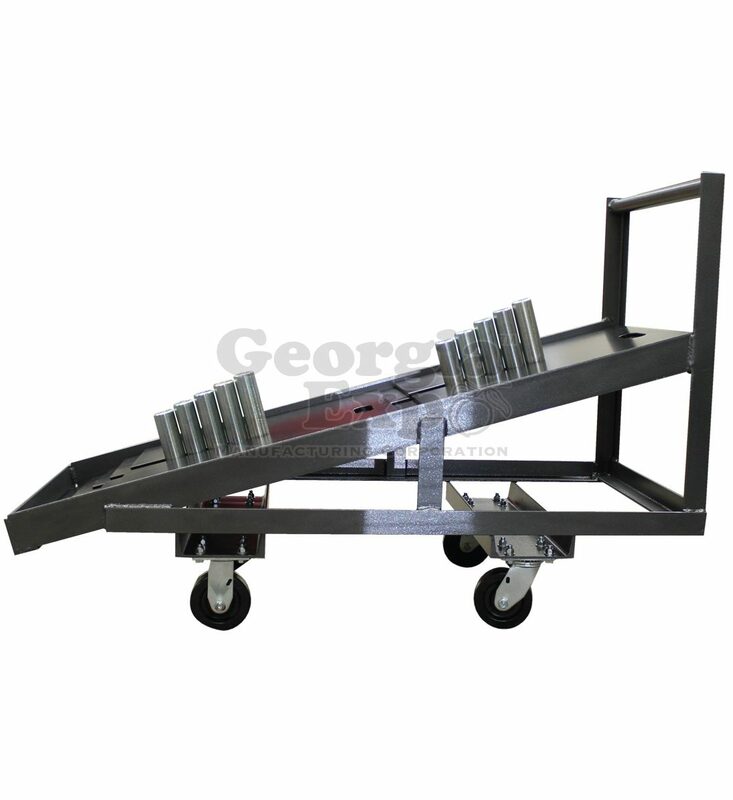 It is designed to be loaded in stacks of 3 from the bottom of the angle upward. 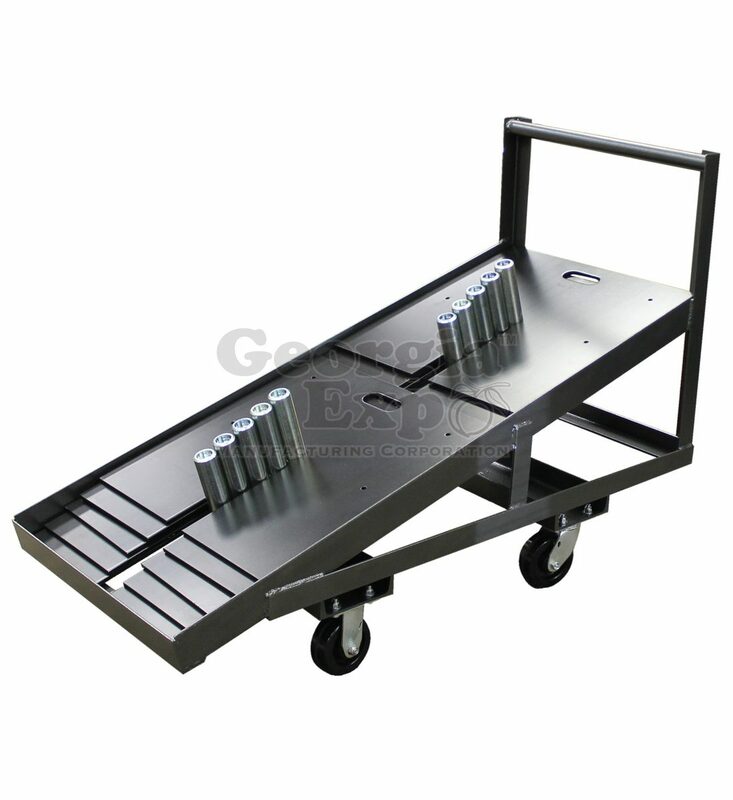 This cart comes standard in our Silver Vein Powder Coat finish, but other colors are available upon request. 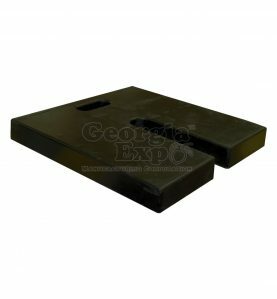 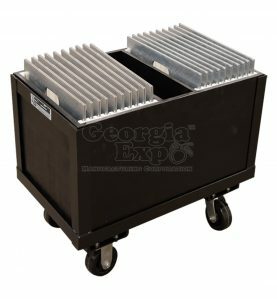 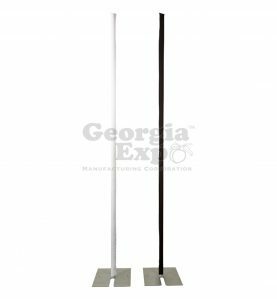 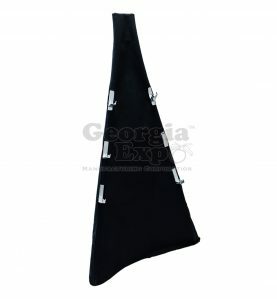 Georgia Expo storage carts come with one set of swivel and one set of rigid casters. 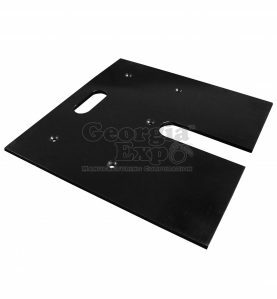 Castor’s ship disabled, we do bolt on castors so replacements can be made easily. 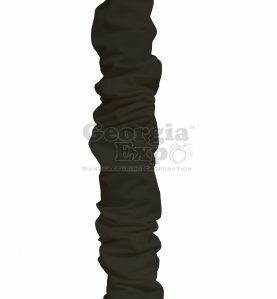 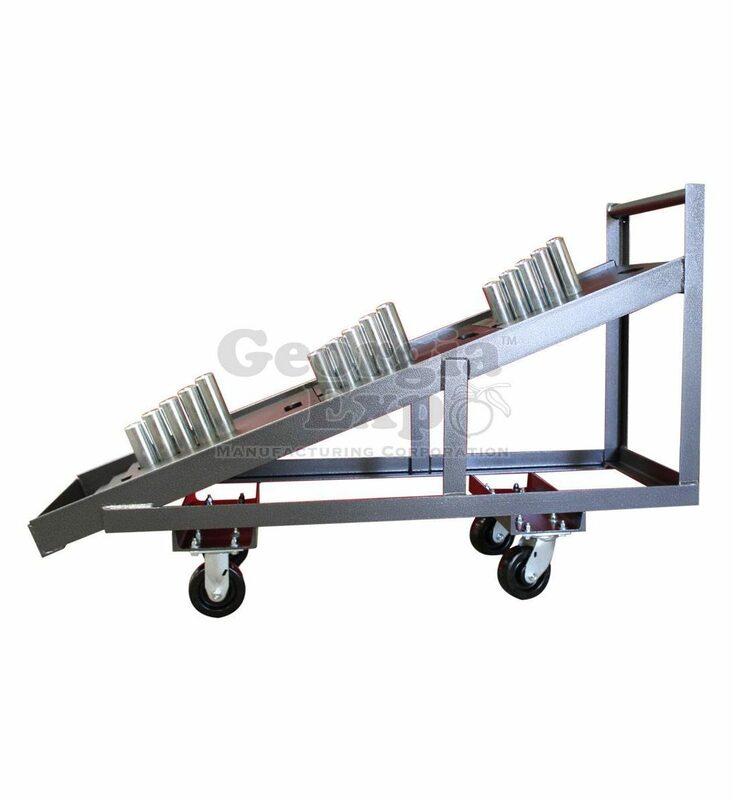 When castors are welded onto the cart, if the cart is dinged with a forklift the entire cart has to be replaced verse just replacing the castors with Georgia Expo’s carts.